For Amy Guertin, there is no more fascinating subject than people. From people watching to her formal education to her own professional experience, there has been one passion that has always been present - trying to understand why people do what they do. In 1990, Amy took her first psychology class. Although she didn't know it at the time, it was the first step of what would become a life-time love affair. Amy began her career 20 years ago as a counselor. She became a licensed psychotherapist working with all ages, but focusing more on children, adolescents, and families. She has worked in community agencies, psychiatric facilities, and private practices. She has advocated with community services, including schools, mental health agencies, law enforcement, and the justice system. Amy spent many years doing on-call crisis work with children and adolescents at risk of harming themselves and others. Her favorite type of client is the untrusting, resistant teenager. She says that once you get past the mistrust, the relationships developed are amazing. Working with children has necessitated working with families and Amy also has experience in working with couples and individuals not only on family issues but on relationship and dating issues as well. Amy began teaching college psychology 13 years ago. Although teaching was never her intent when going to school, Amy has discovered a new passion. Her laid-back style, sense of humor, and focus of applying knowledge outside of the classroom has made her a favorite among students. She believes that "edutainment" is the best way to teach, both to gain students' attention and to convey information. Her goals in the classroom are to provide a safe environment for learning, show students how applicable psychology is to everyday life, and help them to learn more about themselves. Amy is happiest when she is in the classroom. Amy has taught a variety of subjects in psychology from psychological disorders and treatment to critical thinking and problem solving to anger management and stress reduction. Curiosity is what drives Amy. She is an avid reader and tends to click on every link that appears even remotely interesting. As a result, she is an encyclopedia of random facts, most of which is only useful in trivia. She is an amateur photographer who loves to capture people's personalities in photos. She is a mom to an eleven-year-old boy and three cats. As soon as she figures out the meaning to everything, she'll let you know. 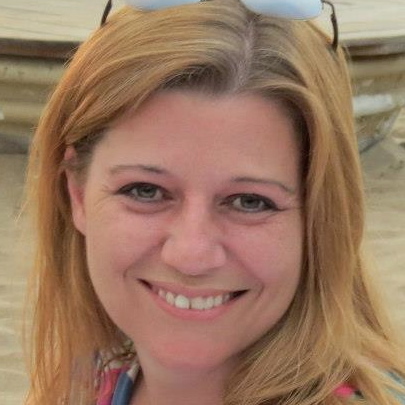 Amy Guertin can be reached via her personal pages at Psychology Today and LinkedIn. How Does Having a Baby Change Your Marriage?